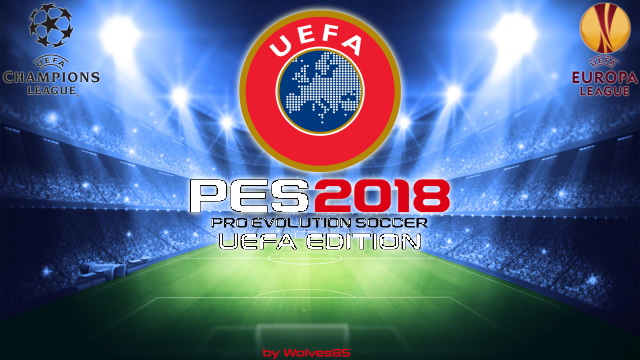 PES 2018 UEFA Edition V3 Final + FIX 2 – Berikut fitur dan penampakan PES 2018 UEFA Edition V3 Final + FIX 2 dari Wolves85. -Added 5 missing UEFA Champions League teams. -Added 27 missing UEFA Europa League teams. -It works with @predator002 chant pack. All European NT have anthems, all european clubs are licensed and have their chants. Fix 2 changelog: fixed Legia Warszawa kits.